Welcome to the new CockerTech.Net! We have overhauled our site to better serve your informational needs! 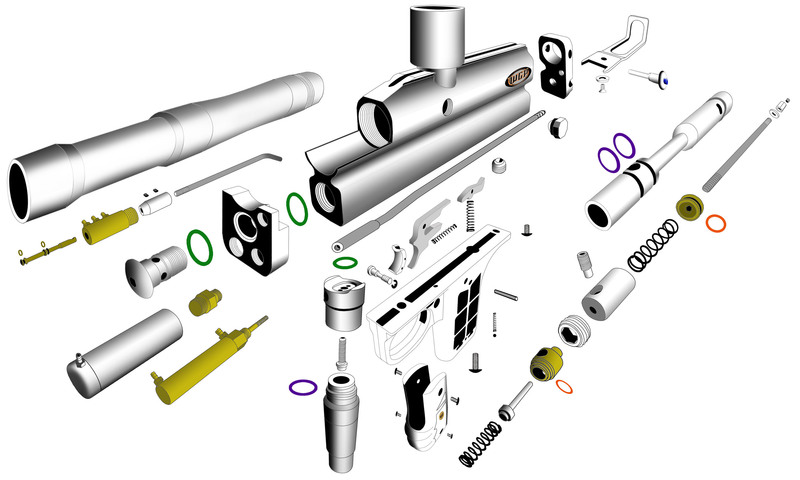 This page contains various animations of how the Autococker works as well as some parts schematics. The latest schematic from WGP. Still has the sliding frame on it though. An old animation from WGP showing how the autococker works with a sliding trigger frame. Copyright © 2019 CockerTech.Net. All Rights Reserved.